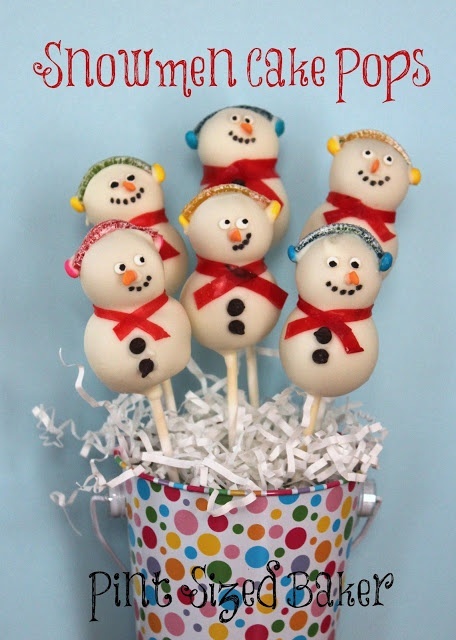 These adorable little snowmen cake pops are sweetness on a stick. The project is made from cake batter that is made into balls and threaded on a popsicle stick and then decorated. To make the project, you will need cake batter, fruit roll ups for the scarf, some popsicle sticks, icing and candies for decoration. To see the tutorial, please visit The Pint Sized Baker.